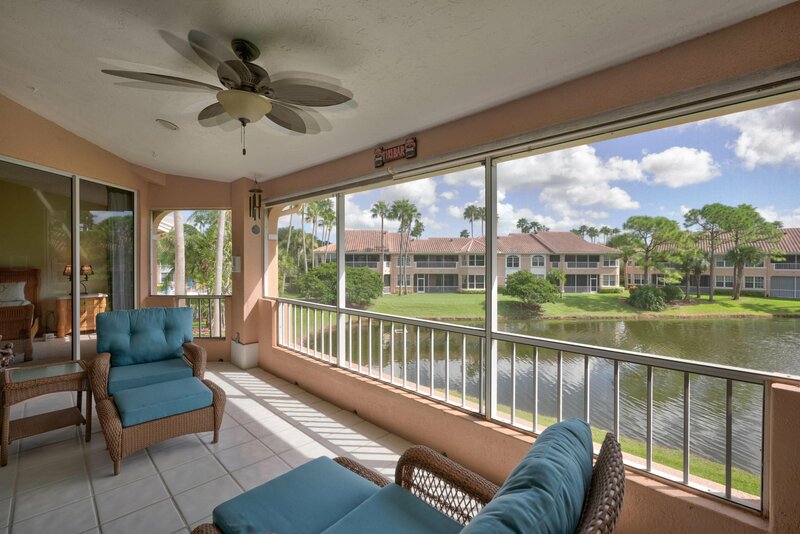 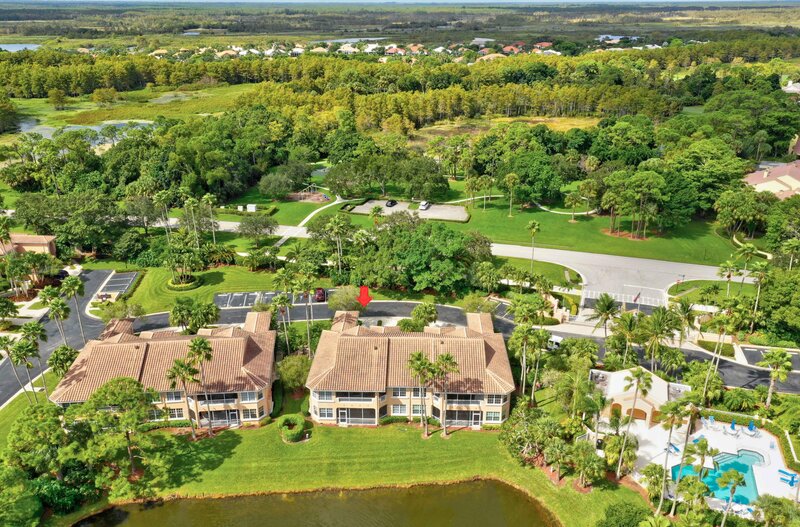 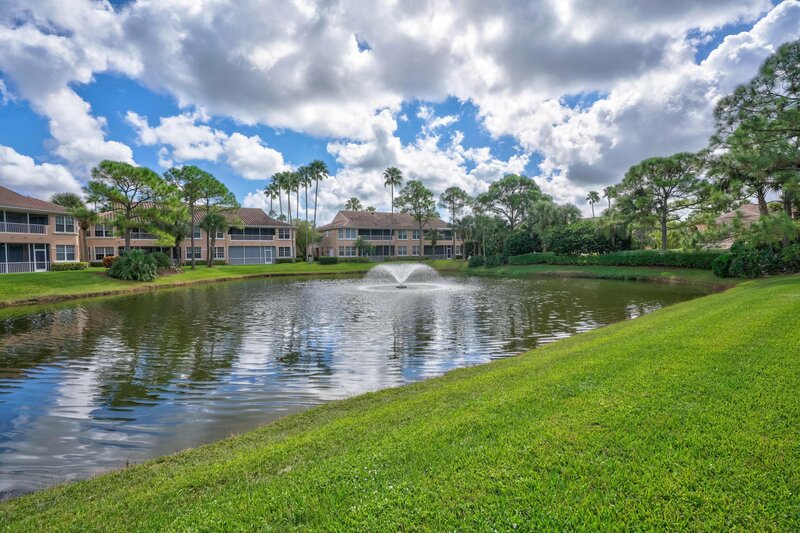 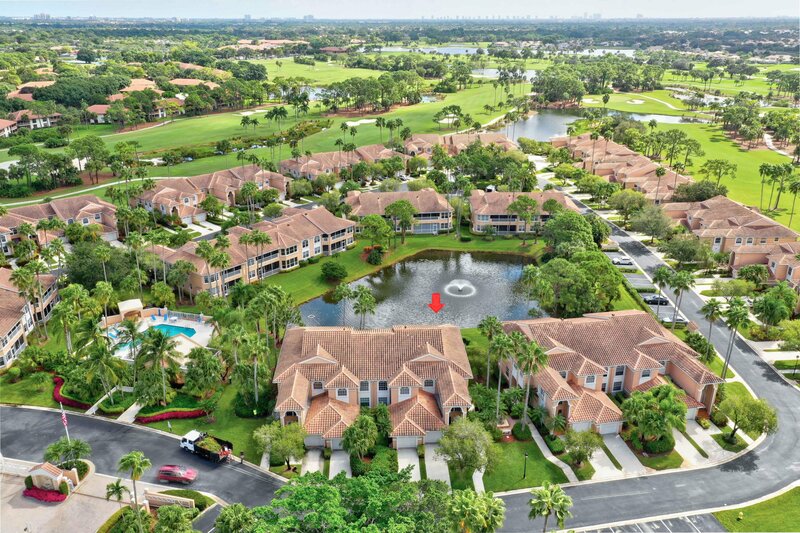 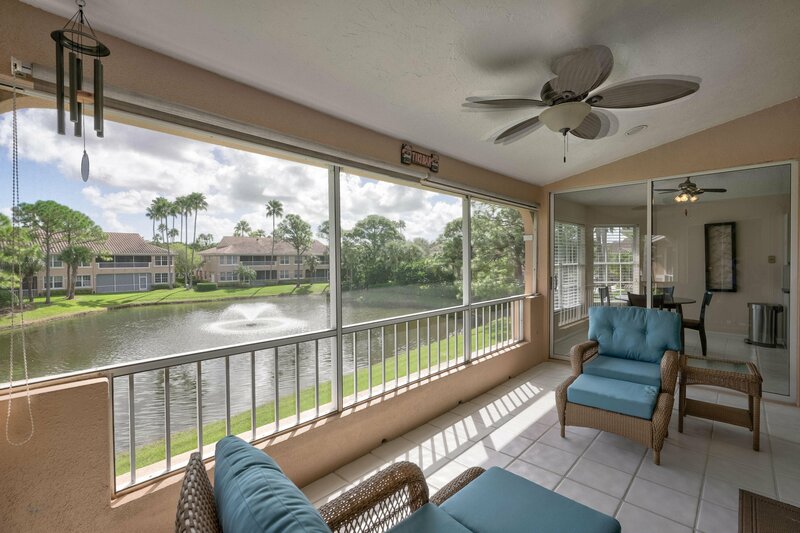 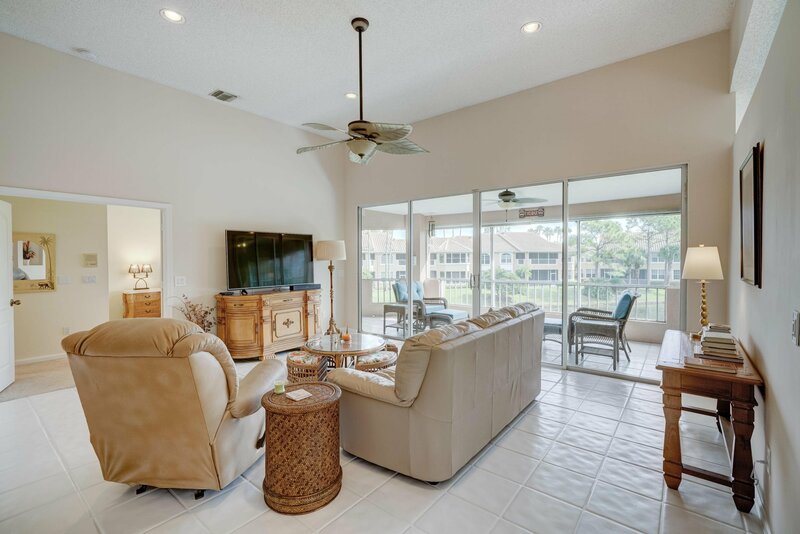 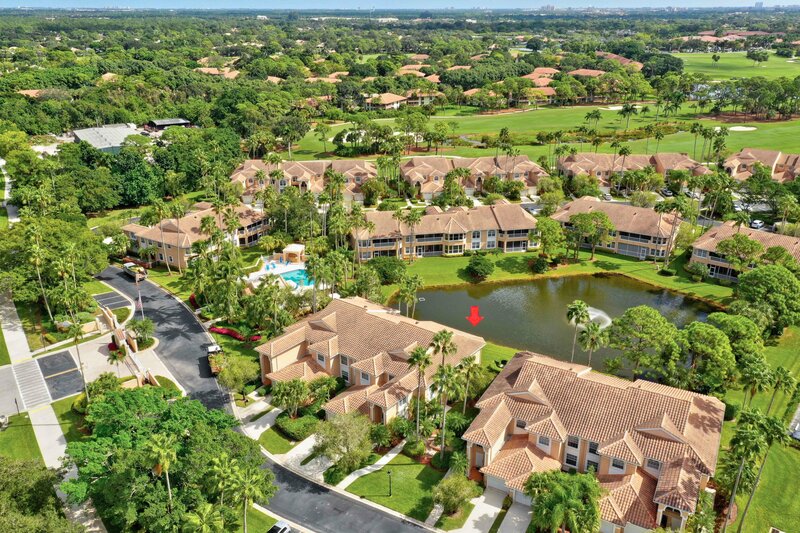 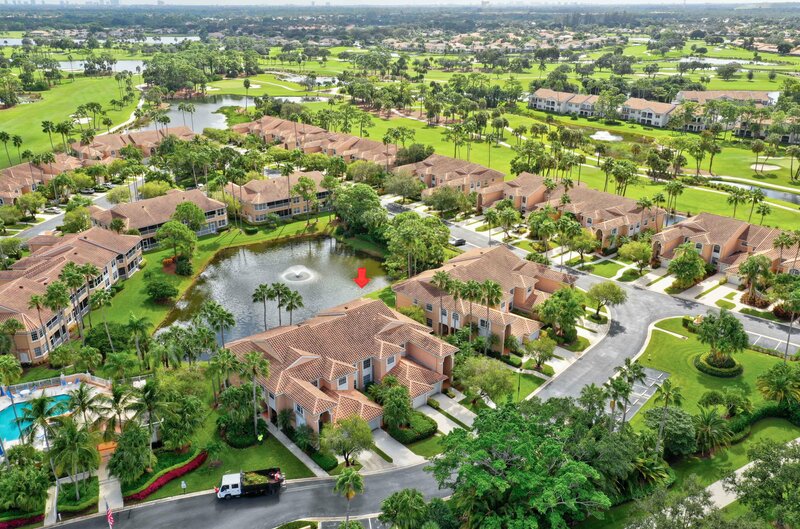 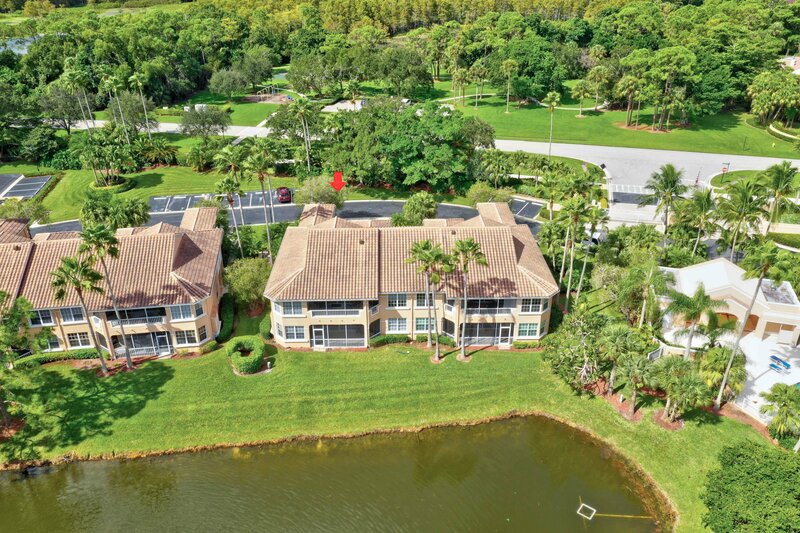 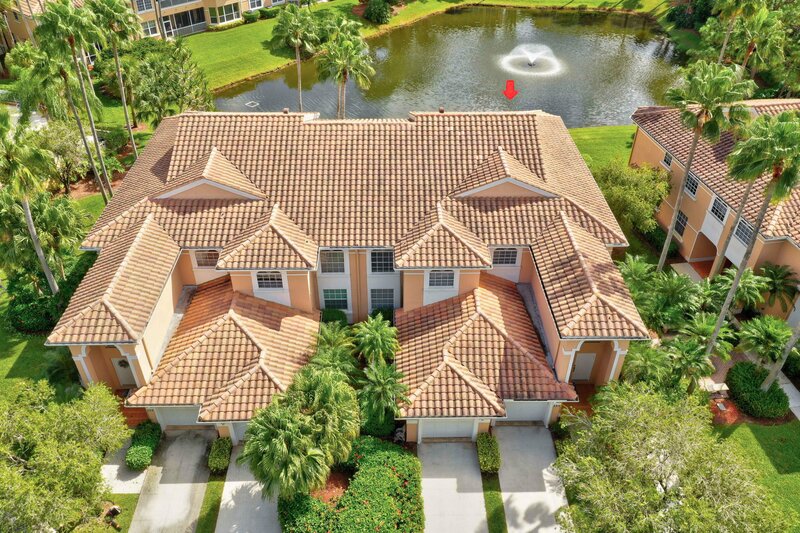 Expansive panoramic views of the lake from an oversized screened balcony, is just one of the many features in this home at the Legend's in PGA National. 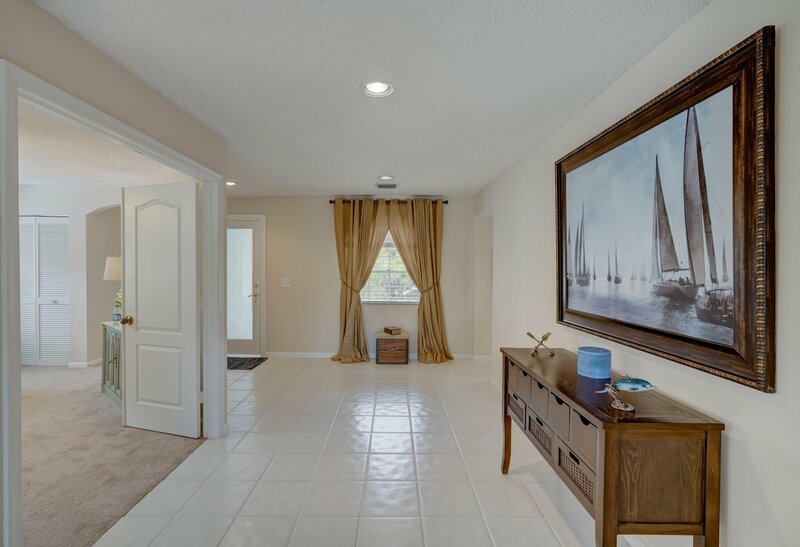 Foyer entry has an elevator adjacent to the stairs for easy access. 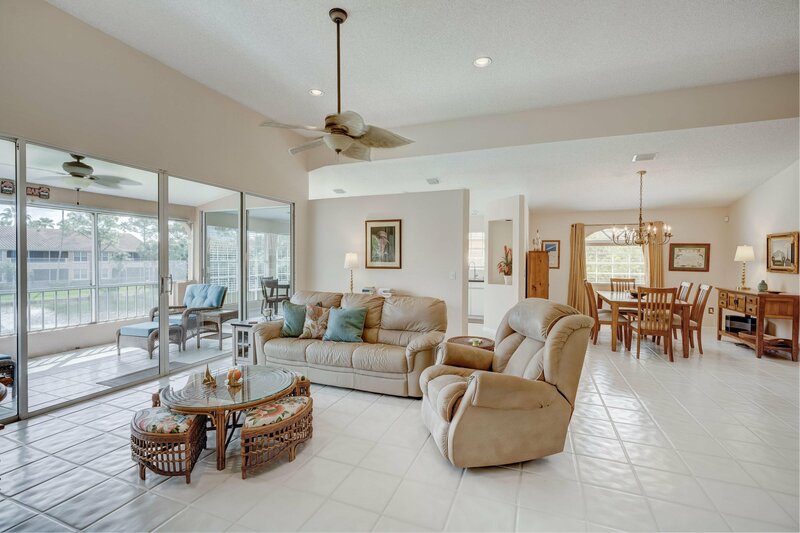 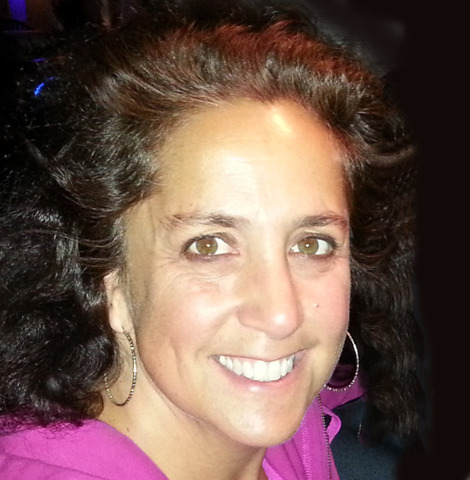 Garage door and air conditioning with ultraviolet light system are two years young. 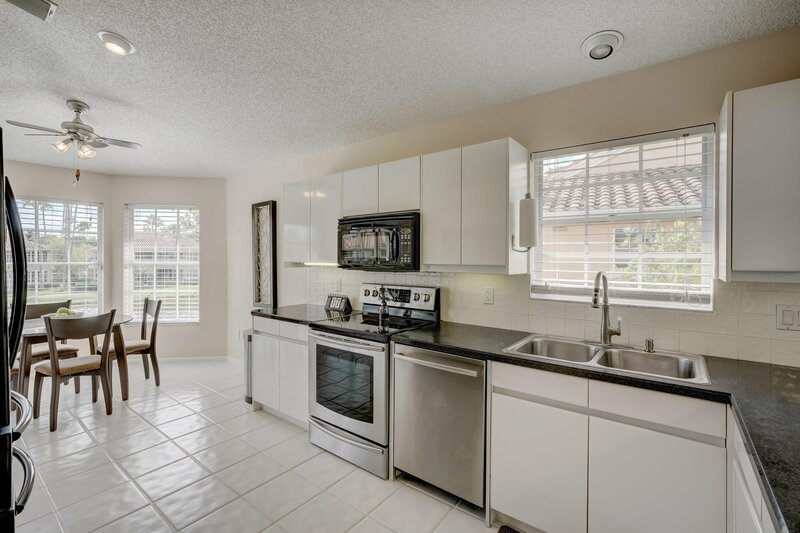 Kitchen with newer appliances includes a breakfast nook also overlooking the lake. 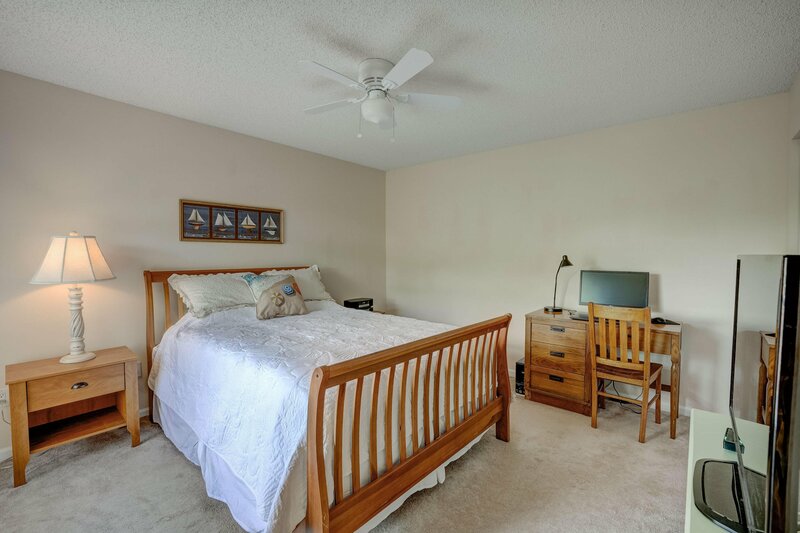 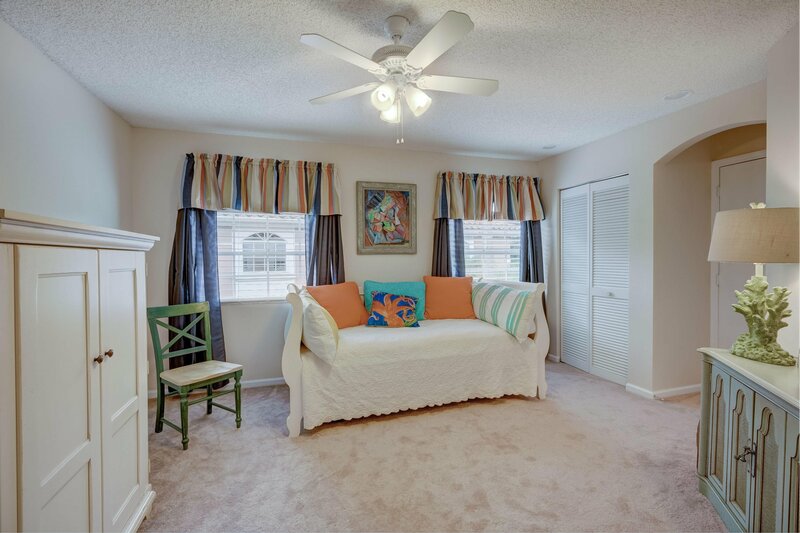 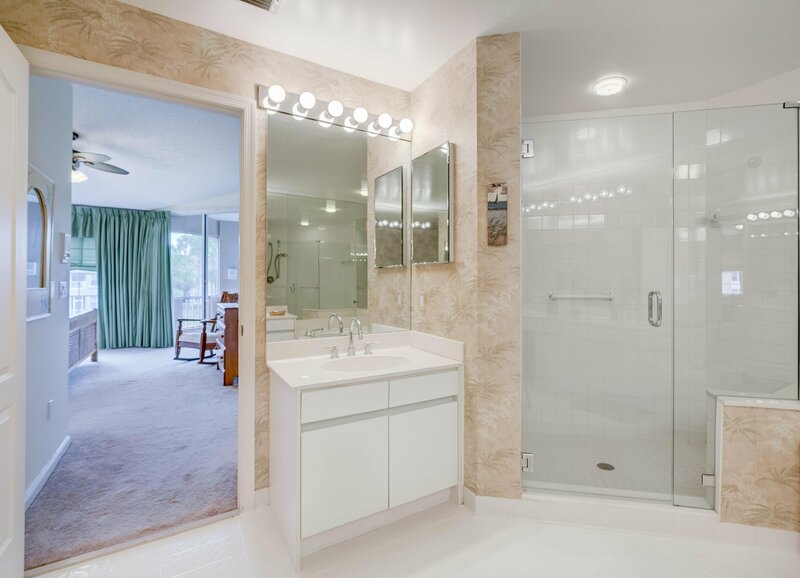 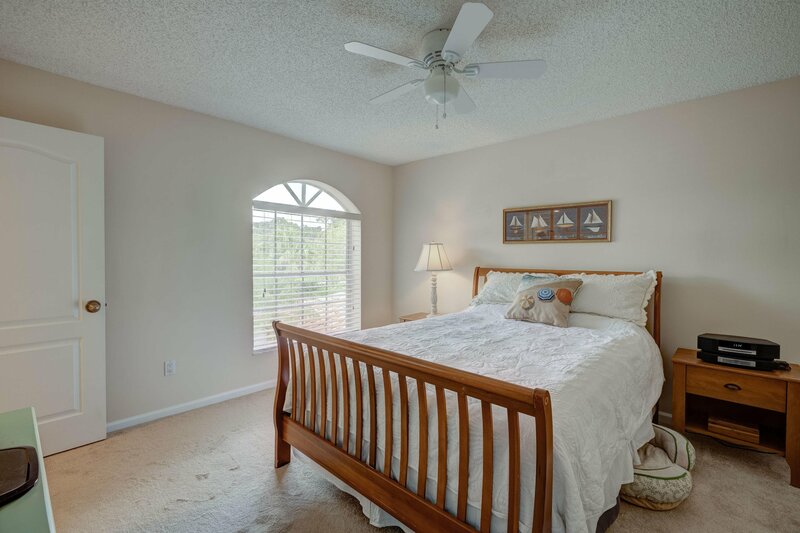 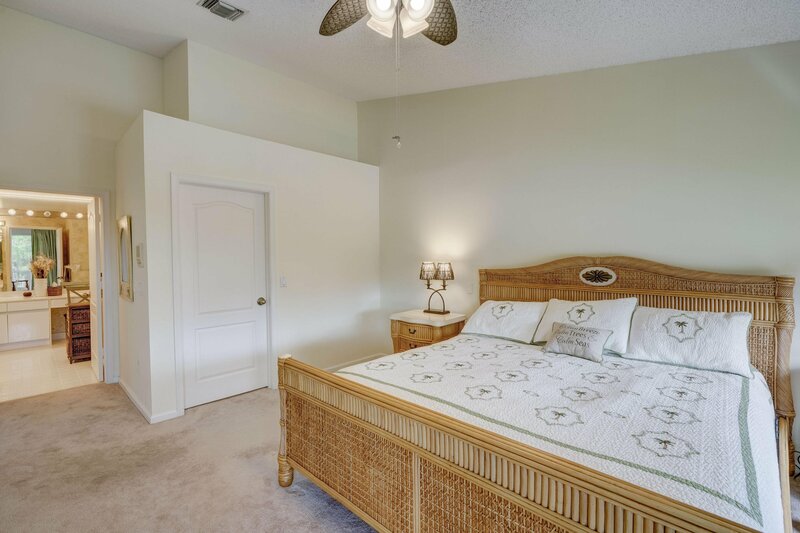 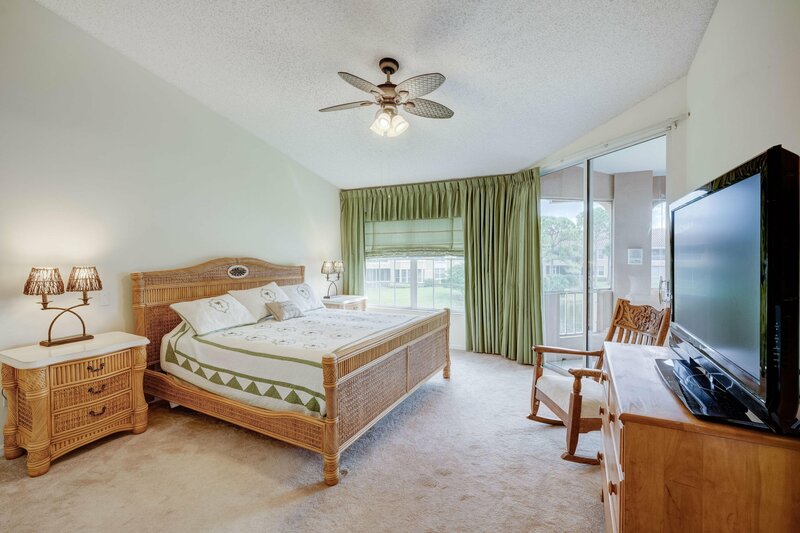 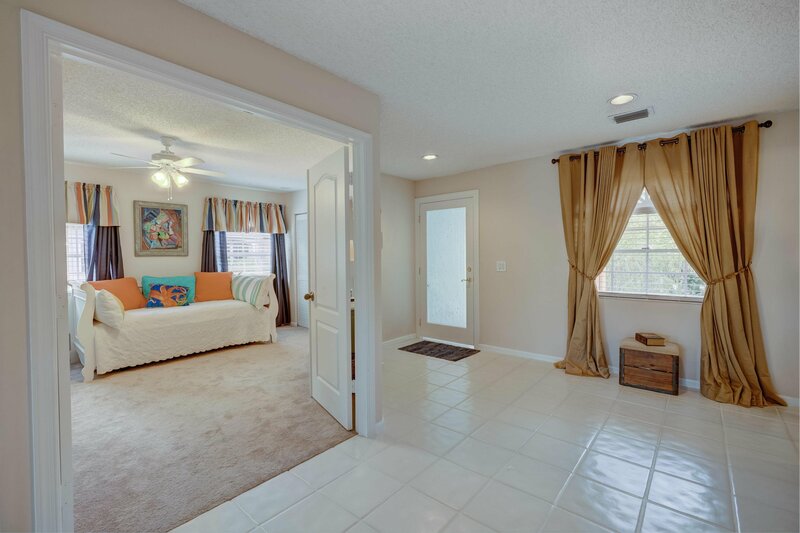 Spacious master suite with large walk in closet, roomy bathroom with dual sinks and separate tub and shower. 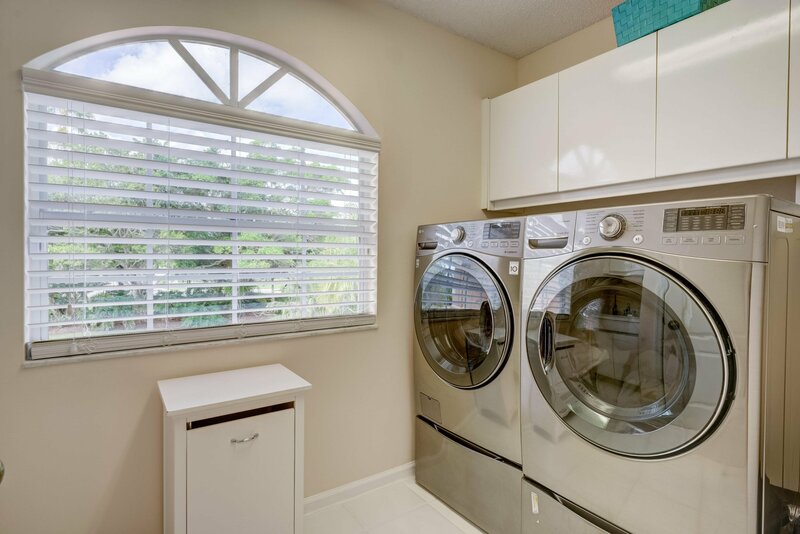 Large indoor laundry room with sink includes newer washer and dryer. 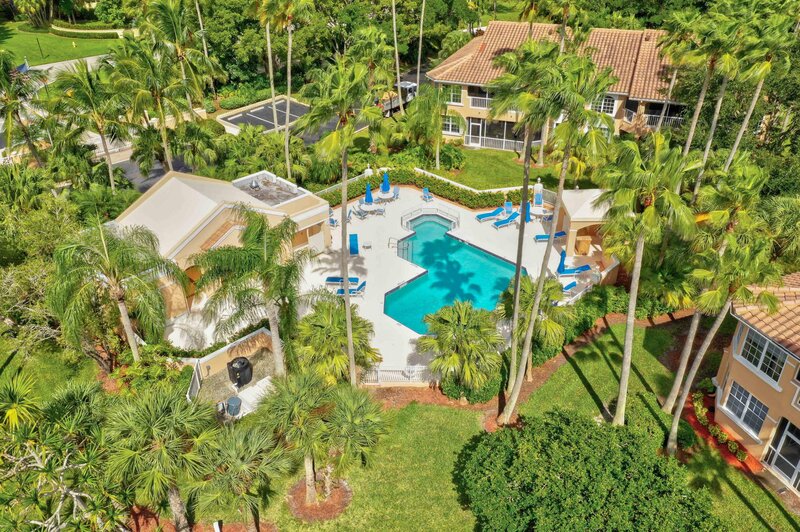 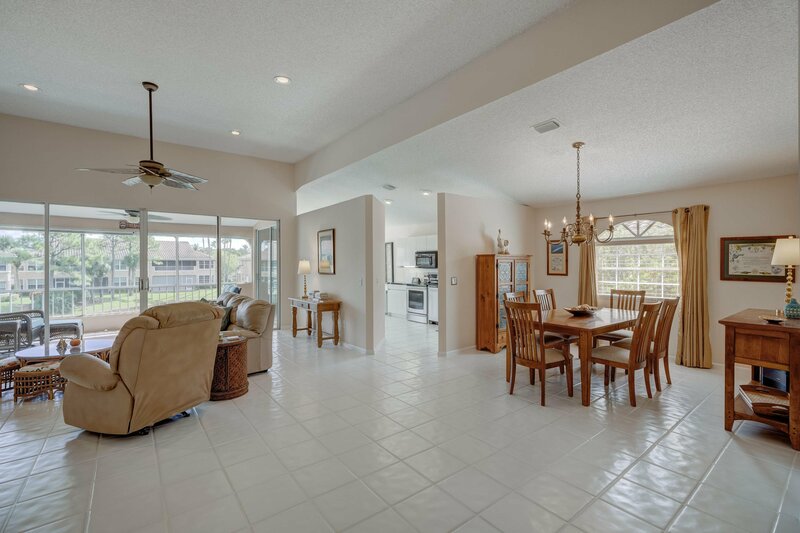 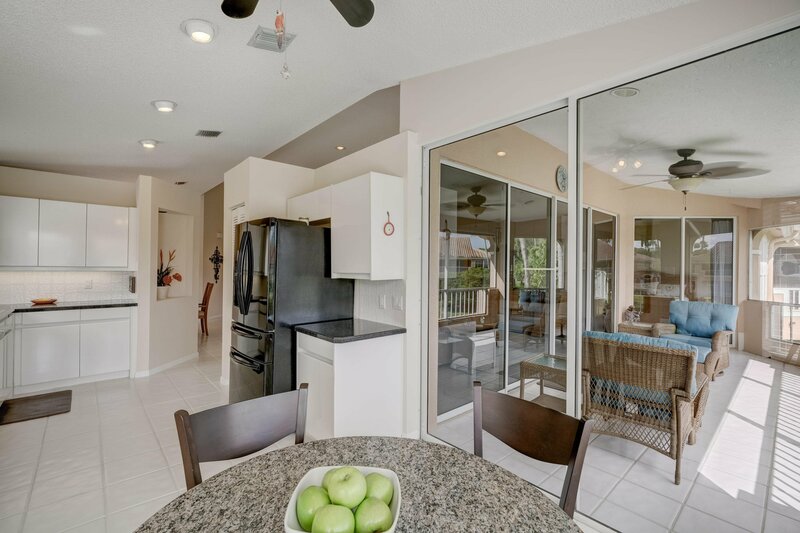 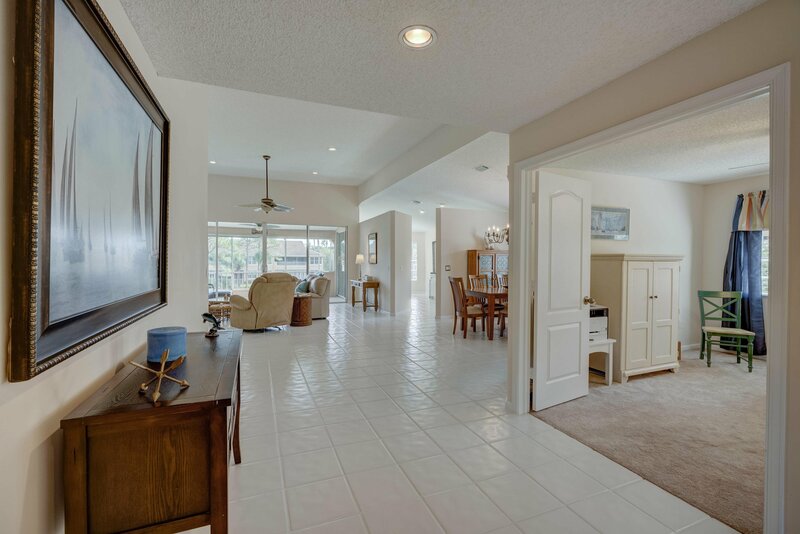 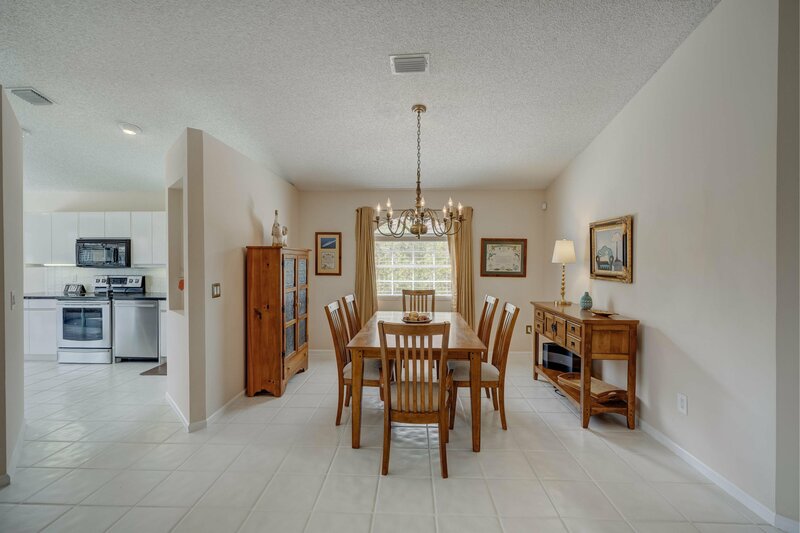 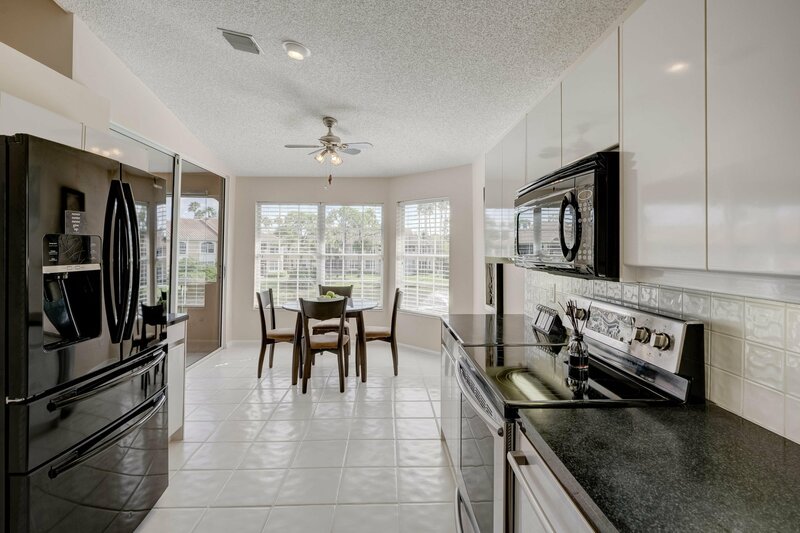 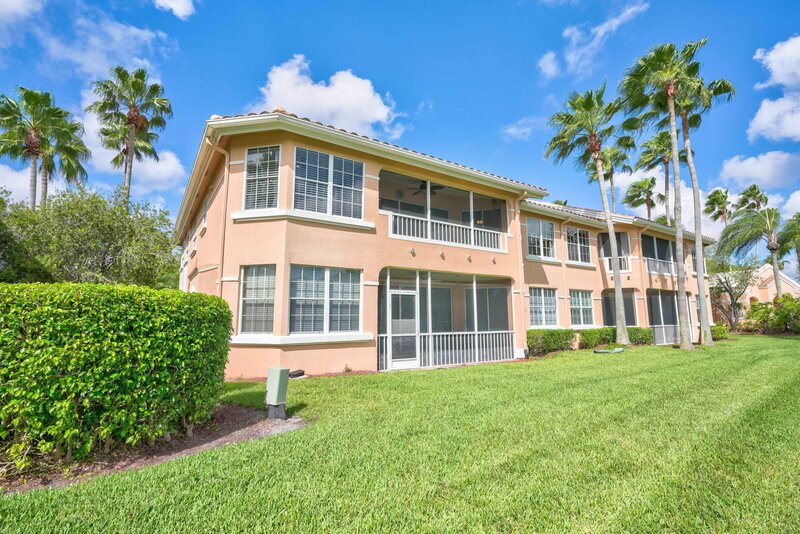 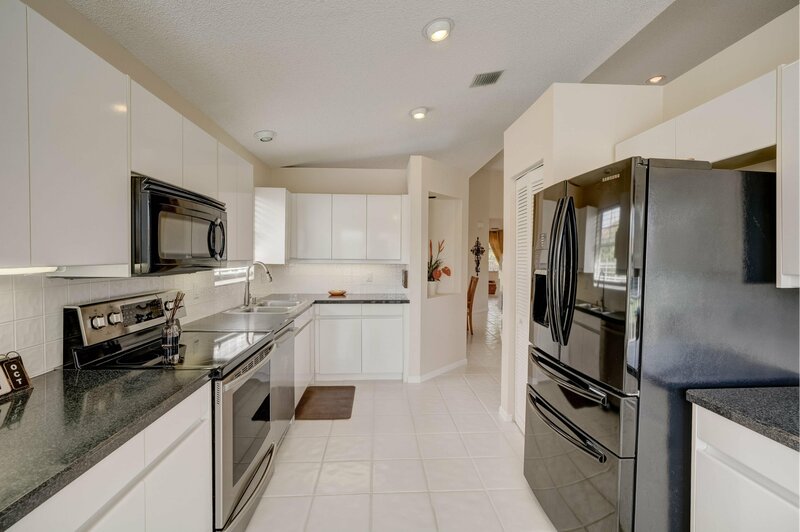 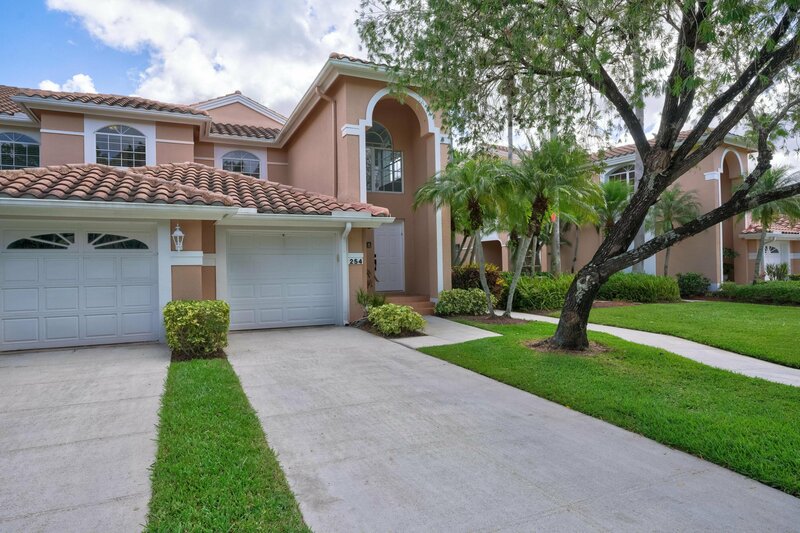 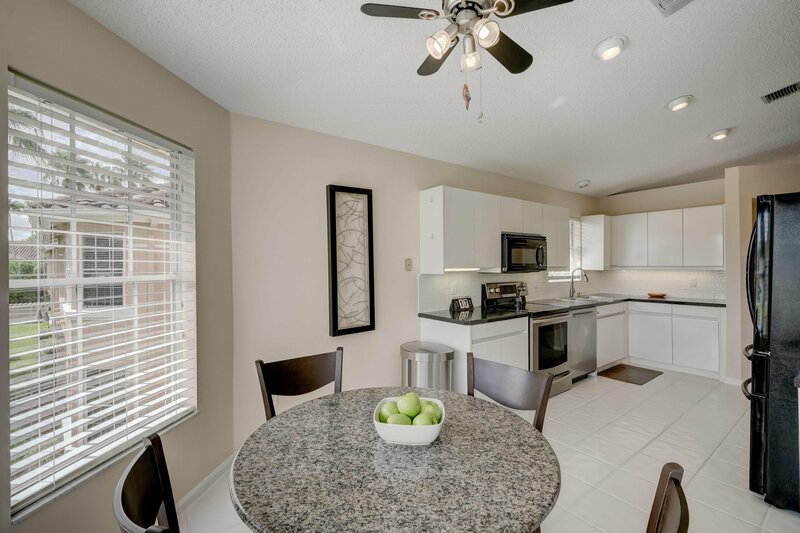 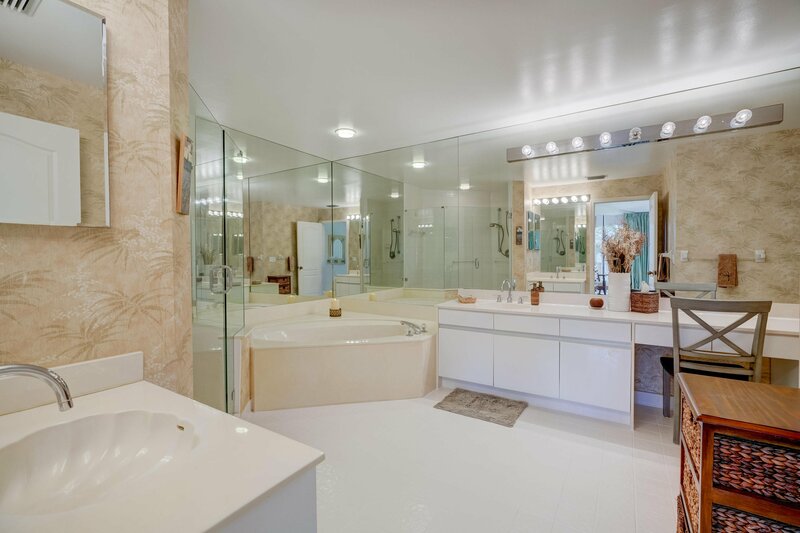 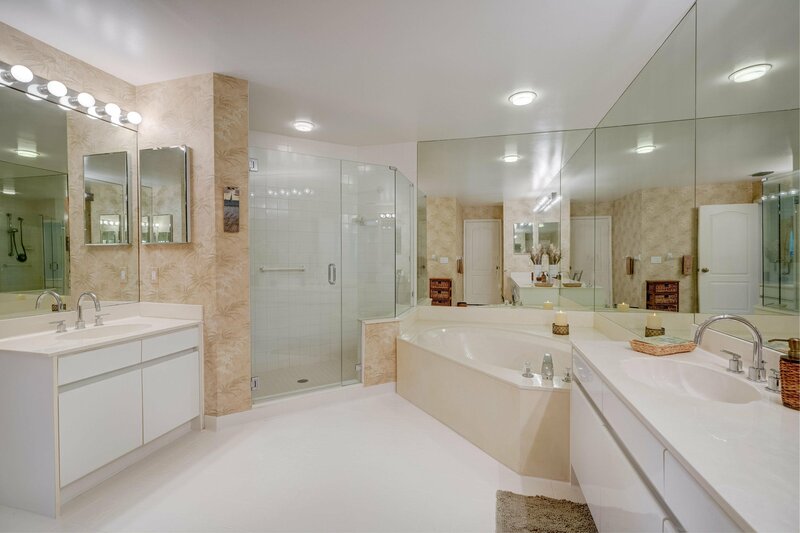 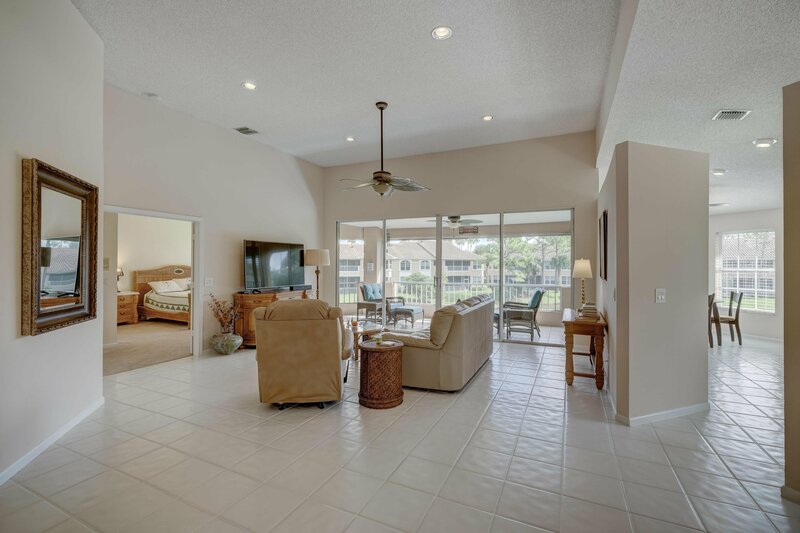 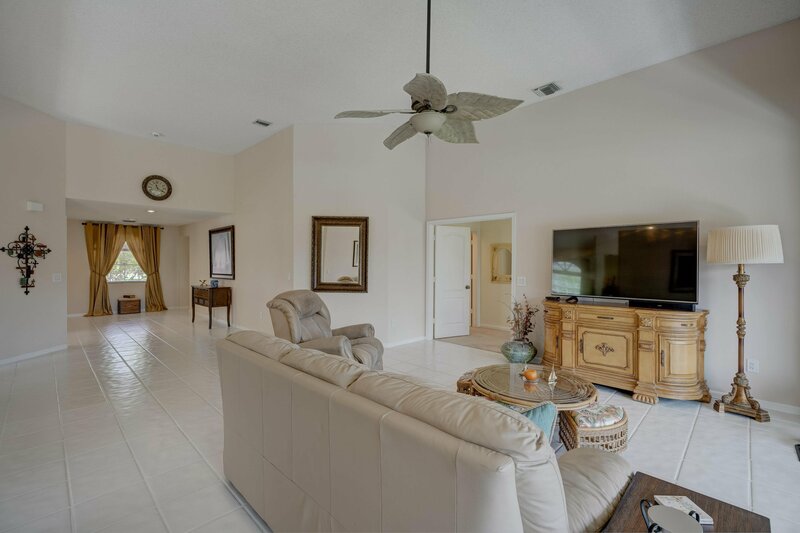 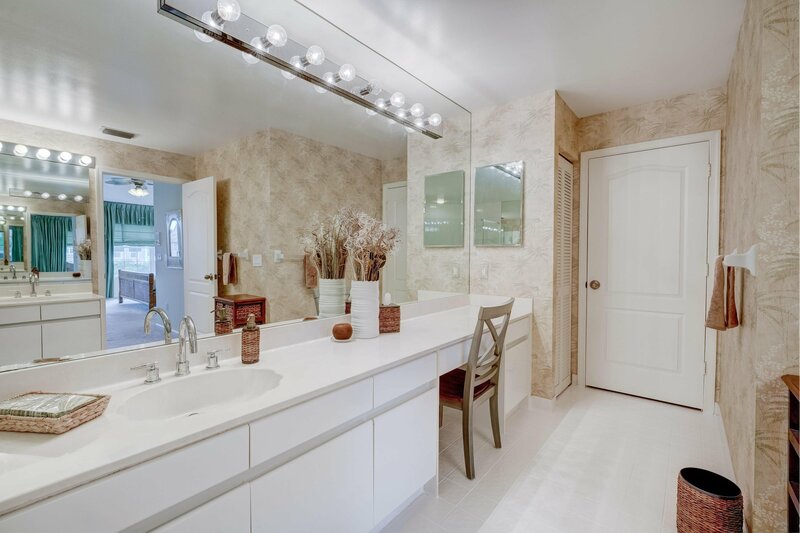 This immaculate home has white ceramic tile throughout main areas of the home. 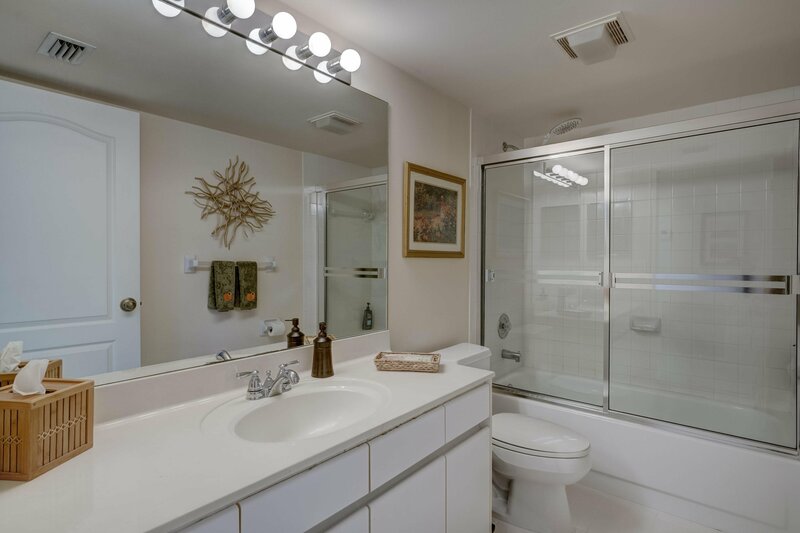 A neutral palette ready for anyone's personal touch!